How to deal with snoring using essential oils? Home / Health A-Z / Essential Oils For Snoring: which are most effective and how to use them? 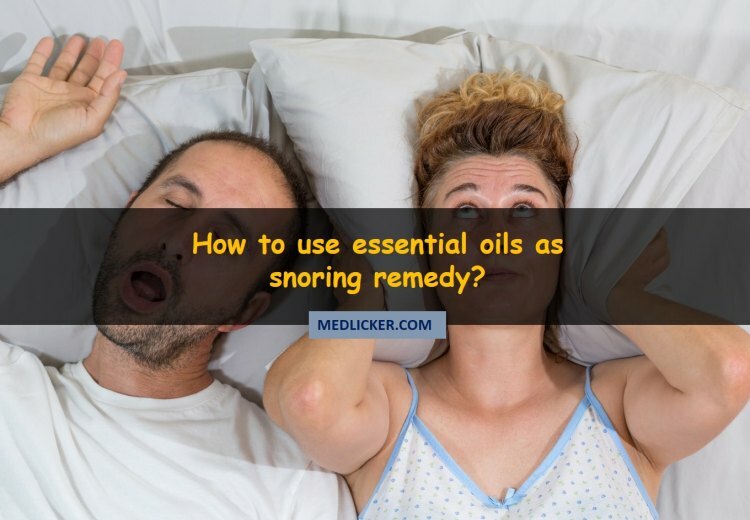 Essential Oils For Snoring: which are most effective and how to use them? Snoring is a source of constant worry not only for the snorer but also for his/her poor spouse. Snoring is a nuisance during sleeping hours and can also cause daytime symptoms; potentially leading to serious repercussions in one’s waking hours. Unfortunately it is not only the snorer that suffers from the effects of this malady - the snorer's partner suffers side by side. According to the National Sleep Foundation, 49 percent American adults get less than seven hours of shut-eye on working days, and more than one in three (30 percent) are so tired during the day that it interferes with day to day activities (1). The sleep loss brought about by snoring - whether it is the snorer or his sleeping partner who is disturbed by the snoring- disrupts important restorative sleep, which can damage a person's ability to carry out cognitive tasks involving learning, memory, reasoning and mathematical processes. It can impair motor skills and can lead to irritability, morning headaches and fatigue, burnout and depression among many other effects. Quite a few driving accidents have been reported caused by drivers who did not get adequate sleep. Therefore, snoring can also adversely affect your driving skills. Snoring can even cause more severe symptoms for the snorer if they have sleep apnea, a problem which causes obstruction in breathing often several times a night and wake gasping for air. Sleep apnea is associated with pulmonary and cardiac disease, diabetes, obesity and stroke. The disturbance during sleeping hours from snoring may cause couples to have a hard time sleeping together. To avoid the symptoms of daytime fatigue and drowsiness, many couples may choose not to share a bed leading to a rocky relationship. A lot of couples say that the intimacy and comfort level of sharing the same bed is extremely vital to their relationship. In their time together before dozing off to sleep, couples catch up on how was their partner’s day, plan and make important decisions, deal with disputes and solve problems. With their busy schedules, many couples usually only have this precious time available to catch up. Unfortunately, snoring can force one person into another room for better sleep, and this vital together time is difficult to replace in their daily lives. Inadequate rest and disrupted sleep interferes with thinking skills and judgment. Lack of sleep can make a person short tempered and irritable. Scientific research has shown that lack of sleep makes couples feel less appreciative of each other. Snoring has plagued families for centuries by keeping them awake at night. Essential oils have made it easy to manage the snores of you and your loved ones. The next time snoring is keeping you awake, try a naturalessential oil combination. This may help you get a good night’s sleep. There are many factors that can cause snoring. Snores are usually generated from the soft palate in the back of the mouth during breathing vibrations as air is inhaled or exhaled. Tongue can also be involved in producing snoring (2). Some folks snore while lying on their sides and some folks only on inhalation. The blockade or restriction of the respiratory airways can make it difficult for air to move freely in our throat and nose as we sleep (3). Some people only snore when they suffer from allergy episodes or rhinitis due to seasonal changes. Dry air or humid air can also be a culprit behind snoring. Dry air seems to make snoring worse for some folks. A humidifier can solve the problem to some extent. But in areas with humid climates, where mold can is present, you might have to suffer a few nights of snoring until you get the humidity problem under control. Snoring is a commonly reported problem, after and during having an upper respiratory tract infection. Sinus infection and sinus drainage can also be a factor in causing snoring. Smoking is a risk factor too as it results in more frequent upper respiratory tract infection (4). If you are a patient of heartburn, indigestion or other stomach or digestive problems, this can also irritate the soft palate and throat and this irritation might trigger your snoring too. People also begin to snore as they gain a few pounds. Obesity and being overweight can be a factor not only behind snoring but also behind sleep apnea. The worst case scenario would be an abnormality caused by a swelling of the throat such as a thyroid problem or goiter, or an abnormal growth such as a tumor or cancer. If you can’t figure it out the cause from the factors above, then you should consult a physician or a sleep clinic to ensure you are not dealing with a condition more serious than allergies. Once you have worked out the cause, then it would be easier to select an essential oil to use for snoring. Then you should consider antihistaminic type essential oils: German Chamomile, Roman Chamomile, Lavender, Geranium, Allergy Tamer Blend, Blue Tansy. (Even if it is a low grade infection but nevertheless still makes you sick) then we think anti-viral or anti bacterial. Any essential oil or essential oil blend will work. Good ones include: Eucalyptus, Lavender, Marjoram, Thyme, Tea Tree, Cedar wood, Pure Cleansing Blend, Respiratory Blend. Then use decongestant or anti-inflammatory essential oils: Peppermint, Thyme, Niaouli, Roman Chamomile, Helichrysum, Pine Needle, Fir Needles, Cedar wood, Sandal wood. If you are unable to determine the root cause, then just try checking out a few different essential oils or blends of essential oils. Give each one five to seven night’s trial, and ask your spouse or partner to document which works best for you. How to get rid of snoring using essential oils? In the last few years, therapy for many common conditions such as snoring by using essential oils has become increasingly popular. Snoring is a widespread ailment – whether you are afflicted by it, your spouse or any family member. Treating your snoring habit with aromatherapy and natural essential oils is one of the least intrusive ways to cure it. Your first choice should be to visit a health specialist or a sleep clinic to find a long term solution (5). Only a professional health specialist can detect the root cause of your snoring problem and give a long term solution. But if you are in search for a short-term solution, essential oils are a good choice. These oils occur in many kinds of leaves, fruits, petals and roots of plants. Essential oils have been reported to possess anti-microbial, anti-inflammatory and anti-viral properties. A research was conducted in United Kingdom which studied the effects of various essential oils on couples where one partner was a snorer. Scientists at the Royal Shrewsbury Hospital in England found that the use of some particular essential oils can considerably reduce the occurrence of snoring and lower the rate of snoring. Essential oils help to liquefy and thin mucous, congested airways and decrease inflammation. These oils also reduce production of mucus in mucous membranes. In case of extreme fatigue, your snoring at night may worsen. Sleep deprivation and fatigue can cause our muscles to become more lax, which elevates volume of snoring. A traditional remedy for snoring involves use of thyme essential oil, diluted or neat, for achieving relief from snoring. Thyme oil has anti-aging, antifungal, anti-microbial, antiviral, and anti-parasitic properties, but what seems to mostly affect the snorer, is its soothing effect on the mind which facilitates in giving you a peaceful night’s sleep (6, 7). Make a mixture of thyme and vegetable oil. Massage the oil mixture onto your feet before going to sleep. If you’re using thyme oil without diluting it, only use two drops. If mixing with a carrier oil, keep the ratio half and half. This means, you should dilute four drops of thyme oil with four drops of canola or olive oil and then rub the soles of your feet. This essential oil can also be added in humidifiers. Thyme tea soothes frazzled nerves. Be cautious while using thyme oil if you are suffering from high blood pressure. Pregnant and breast feeding women as well as children under six years of age should not be treated with thyme oil. The Latin name of this herb is Eucalyptus Camaldulensis. It is also known as Red Gum and River Gum. Eucalyptus has its origins in Australia. 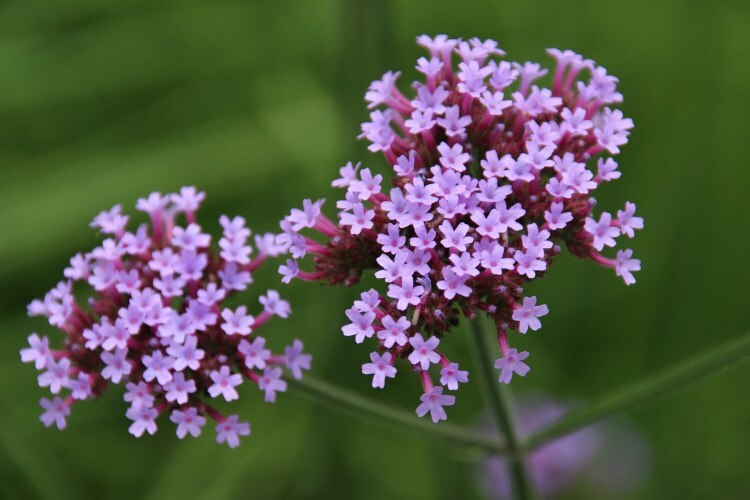 Its leaves are aromatic and it has a sweet scent. Eucalyptus is used for treatment of various health conditions because it possesses immense therapeutic properties. It is a decongestant and expectorant which clears the nasal passageway and provides relief from snoring in people prone to this problem. Eucalyptus oil potently liquidifies the mucus so as to keep breathing pathways clear for smooth breathing. It is also a natural anti-inflammatory substance which when applied on nose, reduces swelling in the inner lining of the nasal passageways and nostrils (8). You may apply eucalyptus oil, diluted if you feel that it is too strong, outside your nose. The ideal way to use it is to inhale its steam (9). Pour the hot water in the pot. Add eucalyptus oil in this water. Wrap the towel around your head. Bring your face close to the pot of steaming water. Be careful not to get too close to avoid burning! Inhale the steam coming out of the pot through your nose and mouth. The botanical name of peppermint is Mentha Piperita. It belongs to the Mint family. Menthol, a soothing agent, is present in peppermint which relieves snoring. The anti-inflammatory traits of peppermint oil can help in providing relief from inflammation in the membranes of the inner mucous lining of your nostrils. This is effective enough to check snoring if it happens due to nasal congestion. It helps in maintaining smooth air flow in respiratory tract which in turn decreases volume of snoring (8, 10). Apply 2-3 drops of peppermint oil on the lower side of your nose before going to sleep. Repeat daily. Inhalation of peppermint oil steam may also reduce swelling in your nostrils. Add two-four drops of peppermint oil in hot water and inhale the steam. Another method is to pour one drop of peppermint oil in a glass of water. Gargle this water and make sure that you do not swallow the peppermint oil mixture. Mint oil has potent anti-inflammatory characteristics that can help soothe inflamed nasal membranes and reduce abnormal production of mucus. This remedy is only effective against congestion-related snoring. Dab two to four drops of mint oil on your finger and rub along both sides of your nostrils. If you are very congested, put four to five drops of mint oil into a pot of steaming hot water and inhale the steam. Sage oil has many therapeutic properties; it is a natural anti-inflammatory and antibacterial agent (11, 8). By decreasing nasal inflammation, sage helps reduce nasal blockage and its antibacterial properties help prevent future inflammation and thus provide relief from snoring. Famous for its woody scent, cedar wood offers health benefits that have been used since ancient times. Against snoring, Cedar wood essential oil helps in maintaining healthy breathing and a smoothly functioning respiratory system. It also relaxes the body and mind, promoting a peaceful and healthy night’s sleep (12). Mix these oils together and apply to sole of feet, concentrating specially on the big toe, before going to sleep. For daily use of this recipe, simply maintain the 50:50 ratio of essential oils to carrier oil and keep it in a dark glass bottle. The name “lavender” is extracted from the Latin word “lavare”, meaning “to wash”. It is effective against many toxins and used to treat a wide range of ailments including snoring (8). Mix these oils together and store in a dark glass bottle for daily use. Shake well before each use and rub properly onto your chest before going to bed. Inhale deeply to clear the sinuses and nasal passages. Marjoram essential oil is a great agent for treating night-time sleeping ailments like sleep apnea. Sleep apnea in many cases is a root cause of snoring. Marjoram oil is known for boosting health of respiratory system which can result in reducing or completely stopping your snoring (13). By inhaling scent of Marjoram oil before sleeping, respiratory passages are opened up and help in relieving snoring. The effect of Marjoram as a snoring remedy differs from one person to another as everybody reacts differently to any particular oil. There have been several cases where snorers reported that their snoring stopped on the very first night of using Marjoram oil – other snorers took longer. Inhaling lemon oil is a great way to clear your sinuses and nasal passages (8). 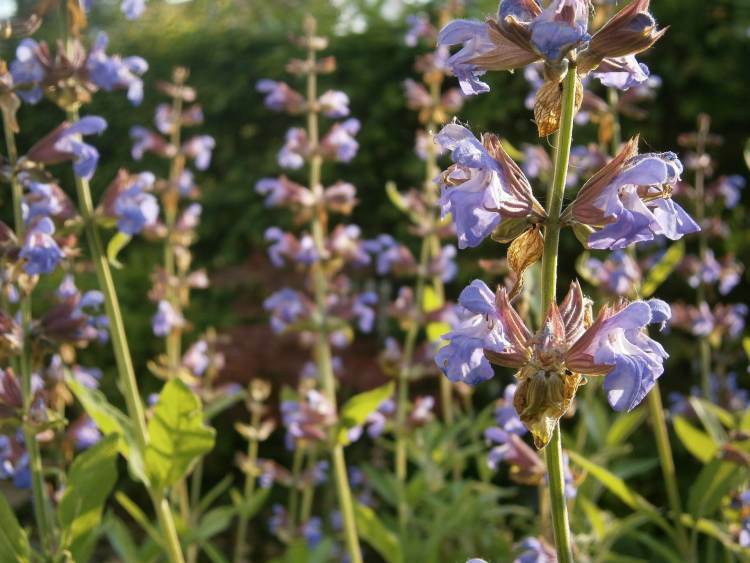 It is very useful for treating respiratory conditions such as insomnia and asthma. The ideal way to use lemon essential oil for treating snoring is to mix it with another oil that will enhance its effects. The Valor essential oil blend is an excellent combination of oils that has been known to help the body get rid of snoring. It is a blend of blue tansy, rosewood, frankincense, almond oil and spruce. Spruce has been identified in scientific research to be extremely effective against snoring. While the Valor essential oil blend will be a slightly expensive choice for a snoring relief home remedy, it has a very balanced aroma and comforting smell that might be worth the cost if you or your spouses are acute snoring sufferers. Gargle a few minutes before you go to sleep at night. Peppermint oil is the best option for gargling; just be careful to not swallow the mixture. When you diffuse essential oils for snoring the results are excellent. If you don’t have a diffuser available, create a room spray instead. Mix the essential oil of your choice with a carrier (olive oil) to make a mixture. You can then massage this mixture onto your feet, neck or chest. You can even dab it right under your nose. If congestion is the culprit behind your snoring, a hot bath works well. Adding a few drops of one of the oils listed above will do wonders. Just make sure the bath is hot enough to produce enough steam to allow the vapors to clear your airways. Carefully check the quality of essential oil you are about to purchase. As you will be applying essential oils on your body, you are best advised to select high quality essential oils. There is no fixed standard of quality that all essential oil manufacturers have to follow, so you will have to mull over several things before you purchase an essential oil. Purchase essential oils after doing some research about companies. Only buy essential oils from reputable companies. Is the essential oil you’re buying cheaper or more expensive than those of other companies? Be wary of low priced essential oils because they may not be of good quality or pure. Does the bottle list the Latin name for the herbs and plant used to make the essential oil and the place of origin? These details show that the company is trustworthy and does business with knowledgeable customers. Does the packaging have any details about purity? Look for products that contain 100% essential oil and stay away from those that contain less or that do not provide a percentage. Check the smell of the product. If it does not smell like you expect it to smell, then it might not be a good quality product. Does the packaging include a statement about wild crafting? If not, then its most probable that the products used to make the oil have been mass produced and might have been sprayed with a pesticide. Avoid purchasing such products. Avoid using essential oils in undiluted form and keep them away from eyes. Do not ingest internally unless working with a qualified and expert medical expert. Keep the bottle away from children. If applying an essential oil topically always perform a small patch test to a sensitive portion of skin. Essential oils are not a final solution to deal with snoring. Ultimately, you will have to visit a doctor to get to the root cause of your snoring and get it treated.